When we first started working on Don Miguel Gascón, we were asked a straightforward question: What should the brand’s digital footprint look like? After doing our research both online and offline, we had a straightforward answer back: Dominant and authentically Argentinian. Don Miguel Gascón created a legacy. As the very first winery to introduce a pure varietal of Malbec to Argentina, he was a pioneer and originator of what makes Malbec synonymous with Argentine culture. Don Miguel Gascón, having put Malbec on the map, is whom you must think of when you think Argentine Malbec. To some it’s a passion; to others it’s an obsession. To Don Miguel Gascón it’s a state of mind. It’s Taste Acquired. Don Miguel Gascón is the largest Super Premium+ Argentine wine sold in the United States. 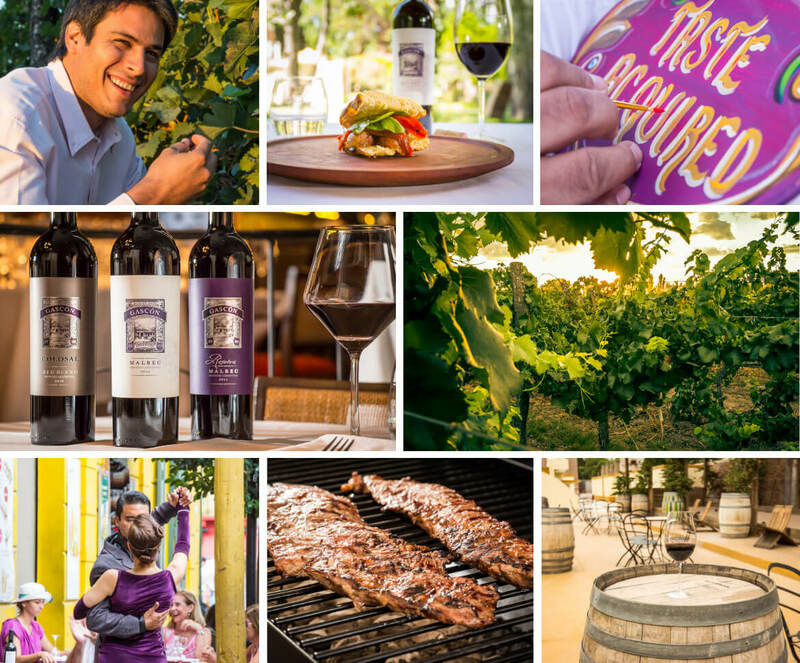 Using the longest continuously operating winery in Mendoza, they’re the first to bottle a pure Malbec. 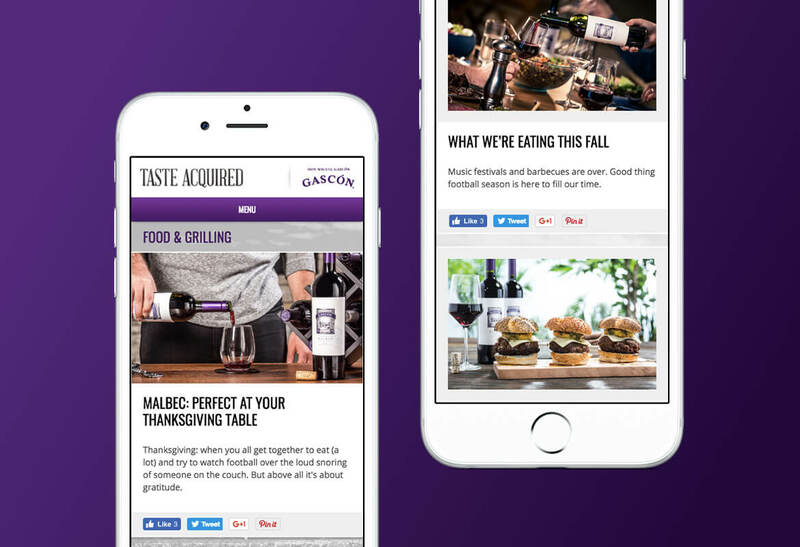 We worked with Gascón to conceptualize and launch “Taste Acquired”, a multi-dimensional content publishing strategy with owned and leveraged properties. The core of “Taste Acquired” was a responsive blog style website that placed Authentic Argentina based lifestyle articles above brand oriented information. 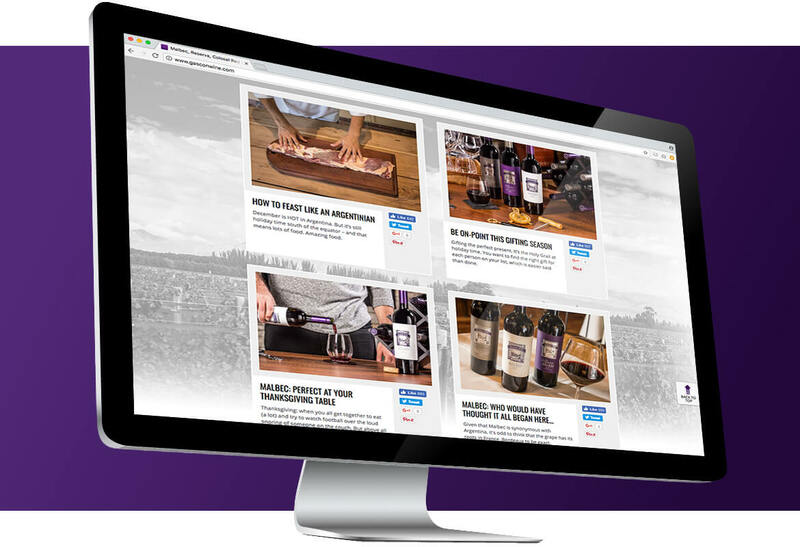 In the development of the website we created and wrote 50+ blog entries ranging from how to serve Malbec properly to how to make a wine barrel sink. 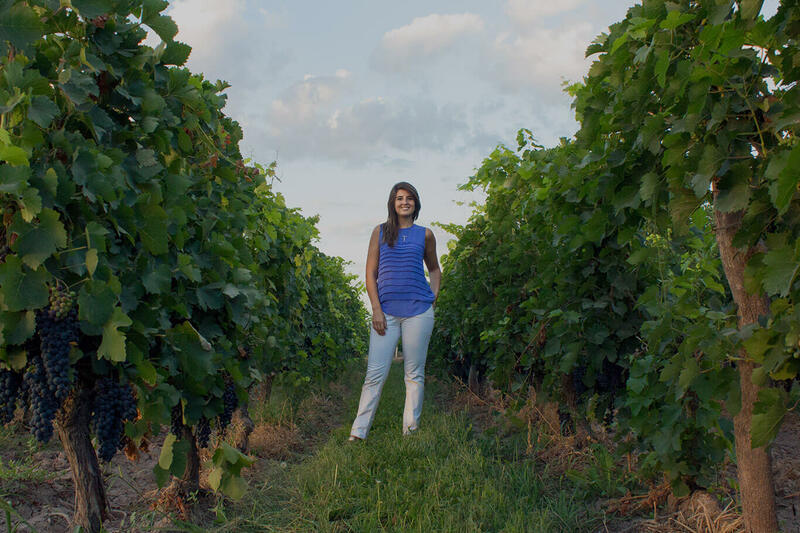 The most popular page of the website (even more than the homepage) was an article created titled How To Serve Malbec Wine. This page was visited 11,000 times through organic search and averaged more than 3 minutes per visit exceeding 570 hours. It was one of a few which also earned a #1 National Google ranking with a featured snippet. To create this powerful publishing platform we had to immerse ourselves into the culture. And, in order to do so, we planned and implemented a five day content generation trip to Argentina that yielded more than 750 photos, 15 videos and 100 story concepts. 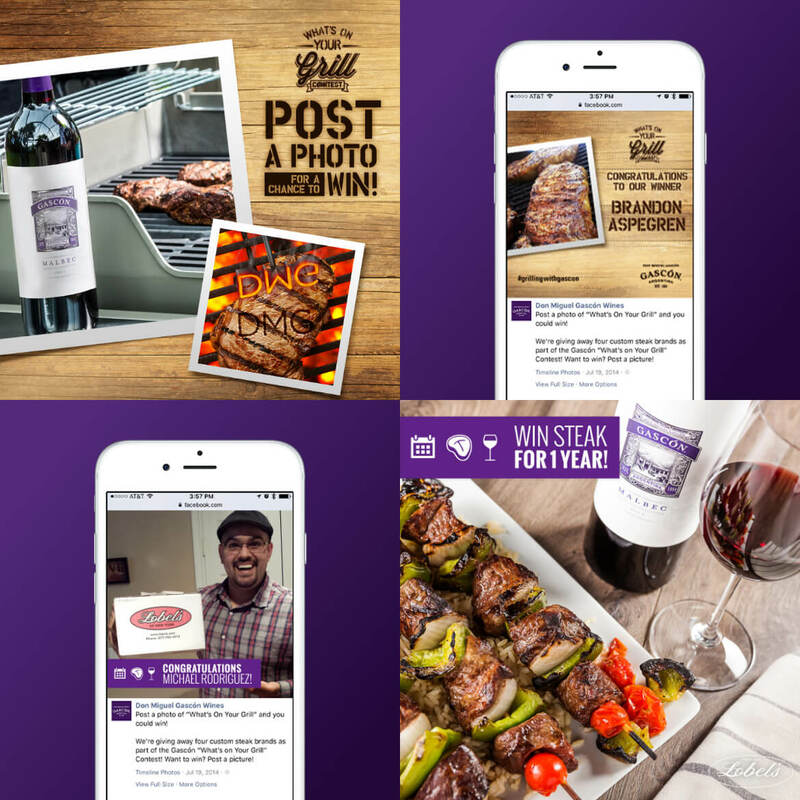 For driving maximum engagement on our social channels, we extended summer grilling platform to take an American staple and add a “Taste Acquired” flavor to it – steak, proveleta, chimmichurri, choclos y choripan and more. From there we partnered with Lobels of New York who, for five generations, have been purveyors of fine meats dedicated to the highest standards of quality and personal service. Our community was asked What’s on Your Grill and the submissions of steaks, burgers, chicken and more started to roll in. Our winner was chosen and enjoyed Lobel’s products for an entire year.